I always find there’s something really relaxing and pampering about painting my nails. This probably stems from the fact that with having children, you do not ‘just’ paint your nails. You have to make sure there’s space (tidy up the toys) make sure the little one(s) are either playing well out of the way, or preferably tucked up in bed, and make sure you have a good amout of time to apply and perfect your mani. 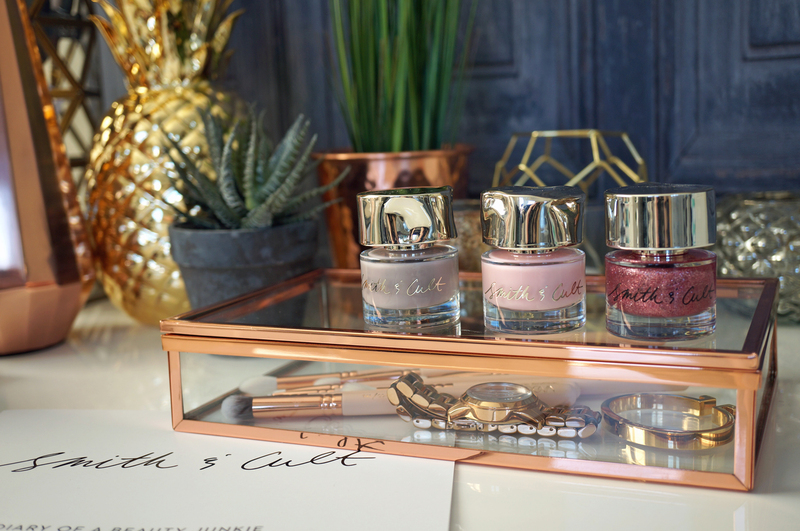 What adds to this lovely bit of me time, is when I have a brand new, not to mention gorgeous looking product to play with – and that’s my cue to introduce Smith & Cult – probably some of the most beautiful nail polishes I’ve ever seen. 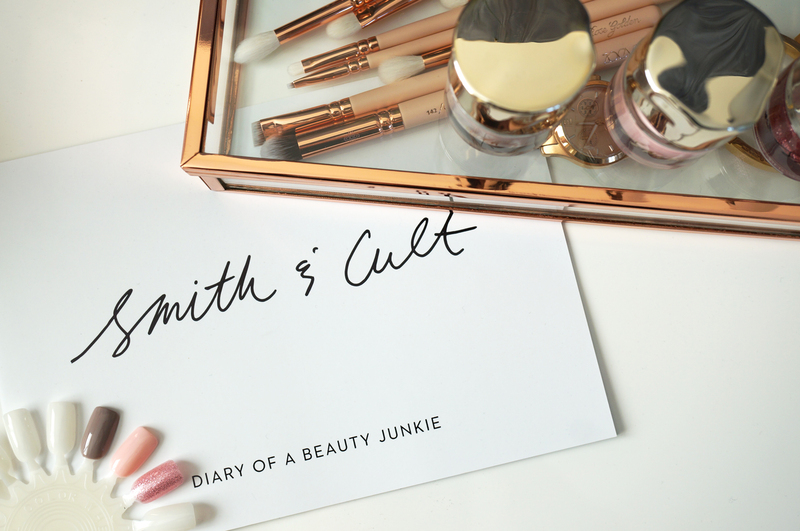 Smith & Cult are brand new to the world of nails, and they were founded by Dineh Mohajer. You may not recognise the name but when I tell you this is the same lady that started cult 00’s nail brand Hard Candy, this may ring a few bells. Well where Hard Candy appealed to the teen masses of the time, Smith & Cult is definitely aimed at the older, more sophisticated customer. Let’s look at the bottles, which are just beautiful. I love the high shine gold lids, and the fact that they’re all a bit wonky, though they’ve been pressed in and dented while setting. On paper I know this sounds a little strange, but in real life they have a super elegant and luxe feel, that wouldn’t be out of place on display next to your Chanel on your dressing table. Gay Ponies Dancing in the Snow (yes this is the actual name!) – a fine pink glitter suspended in a sheer pink base. 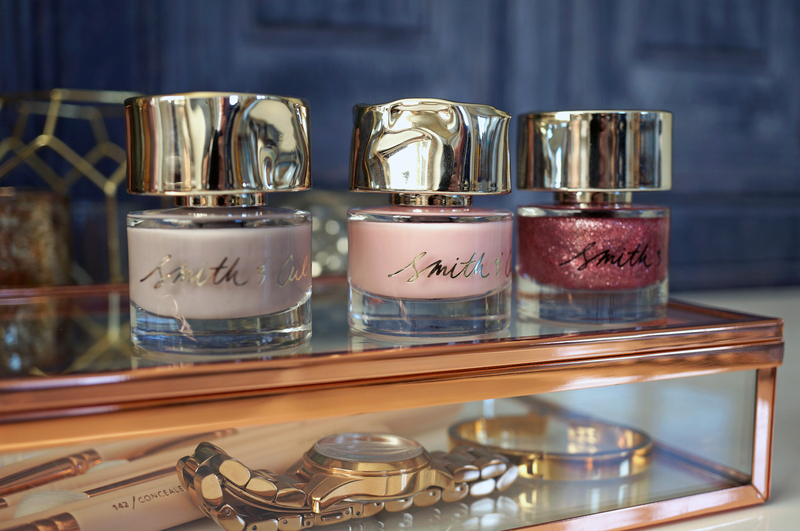 Smith and Cult’s Nail Lacquer has an exclusive 5-Free formula, without Dibutyl Phthalate, Toluene, Formaldehyde, Formaldehyde Resin or Camphor, and the range consists of 33 essential hues and styles, including the edited glitter collection. And lastly, the swatches. I used three coats of each shade here and they applied amazingly well. Drying time was fairly average, and I can’t comment on longevity as yet, as I’ve only just applied the polish to my own nails. I’ve gone with Doe My Dear, so I’ll update this post when I can. 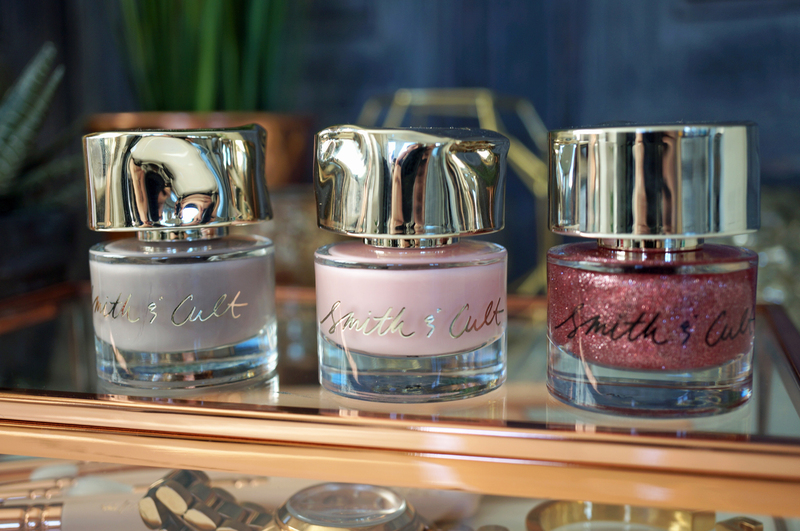 Smith & Cult nail polishes are £19.00 each and available now from Net-a-Porter.